Come out and meet Sheinata Carn-Hall the artist behind Reflections African Jewelry LLC. She specializes in one of a kind African Art Jewelry and will also be doing tarot card readings at this event. There will be lots of cool #vintageclothing for purchase so come on out. 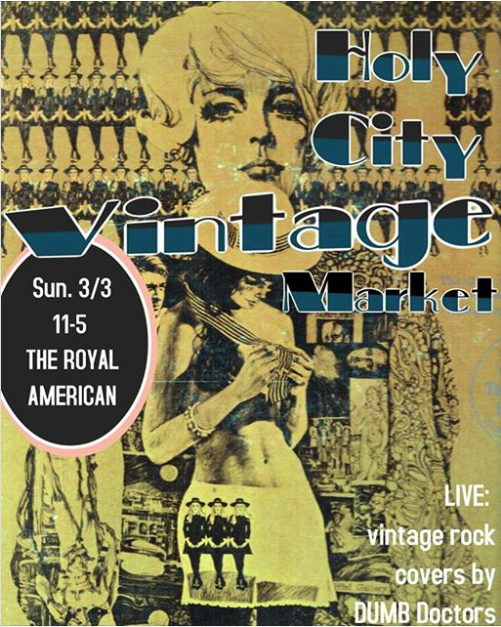 Visit my popup at the Holy City Vintage Market this Sunday 9am-3pm. 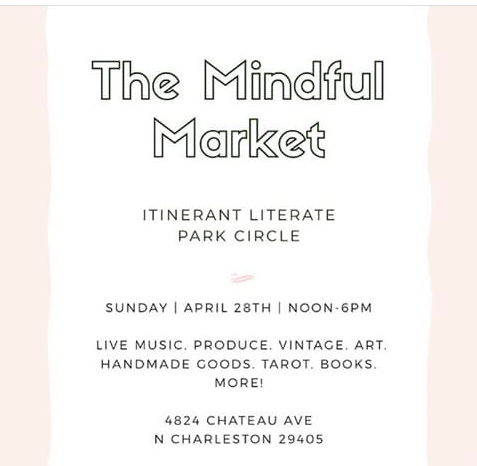 The Mindful Market will be at The Itinerant Literate Books on March 30th from 12pm-6pm. 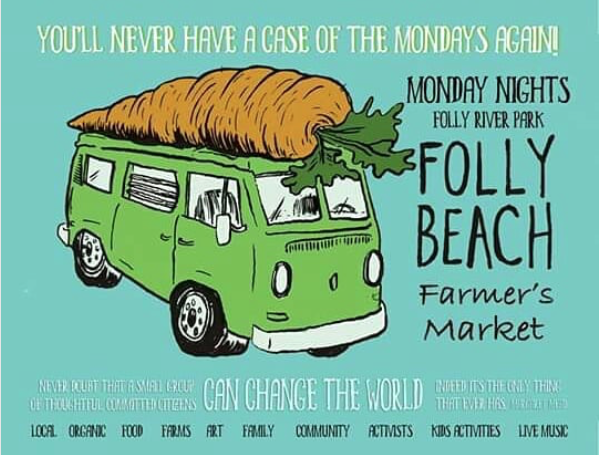 Come check out a unique collective of local artists, artisans, makers and crafters selling a wide variety of goods including, vintage, jewelry, handmade products, healthy/beauty essentials, art and hear a live music performance! There will also be a local farmer selling vegetables. All are welcome! Make sure to go inside the bookstore and check out the selection. You might find a book that you must take home. Come out and meet Sheinata Carn-Hall the artist behind Reflections African Jewelry LLC and the Co Creator of The Mindful Market Chs. She specializes in one of a kind African Art Jewelry and will also be doing tarot card readings at this event. Click the link to sign up for the event or join my FB page. The Mindful Market will be at The Royal American on May 4th from 12pm-6pm. 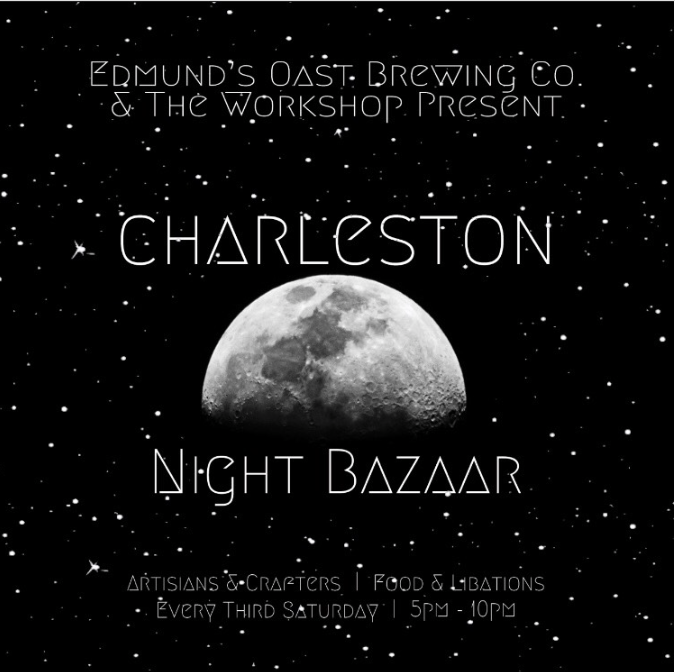 Come check out a unique collective of local artists, artisans, makers and crafters selling a wide variety of goods including, vintage, jewelry, handmade products, healthy/beauty essentials, art and hear live music TBA! The Royal American will be coming through with their infamous rum punch, veggie melts, magic wings and happy hour specials. All are welcome! Come out and meet Sheinata Carn-Hall the artist behind Reflections African Jewelry LLC. She specializes in one of a kind African Art Jewelry and will also be doing tarot card readings at this event. There will be lots of cool #vintageclothing for purchase so come on out. 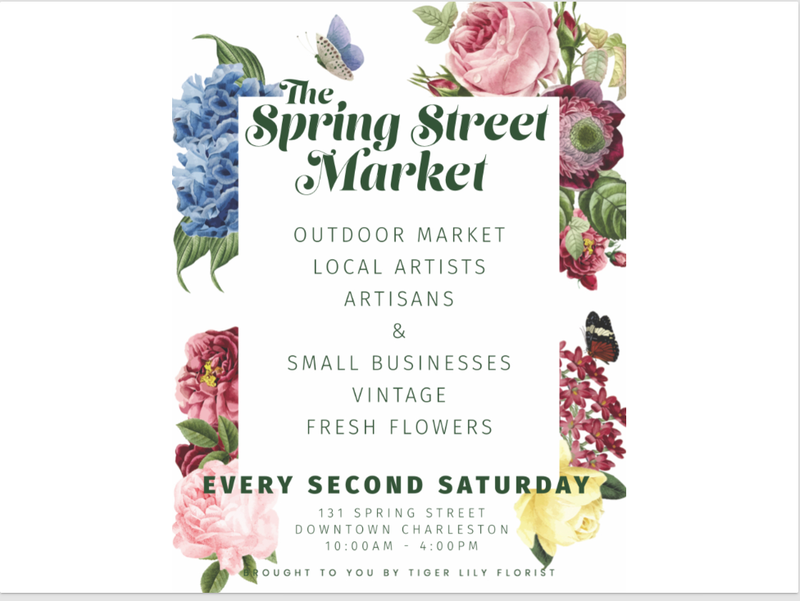 Visit my popup at The Spring Street Market this Saturday 11am-4pm. 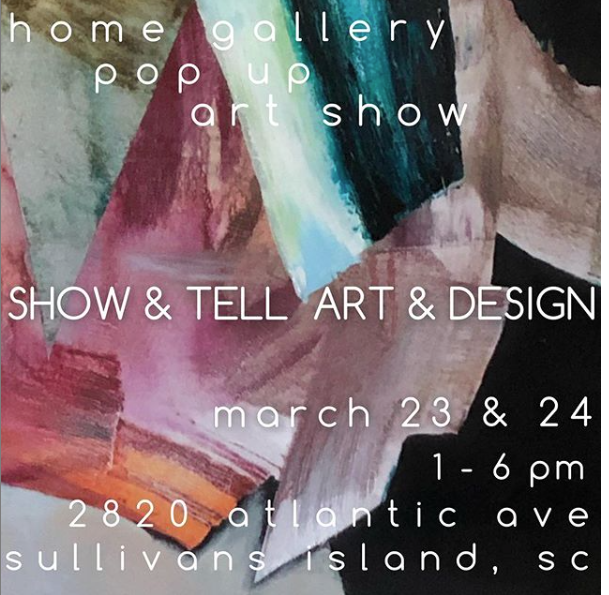 Come out to Show & Tell Art & Design home gallery on Sullivan's Island. Hang out in this beautiful space while sipping bubbly and perusing vintage, modern art, vintage clothes and you can even tarot card readings. The Mindful Market will be at The Royal American on March 8th from 3pm-7pm. 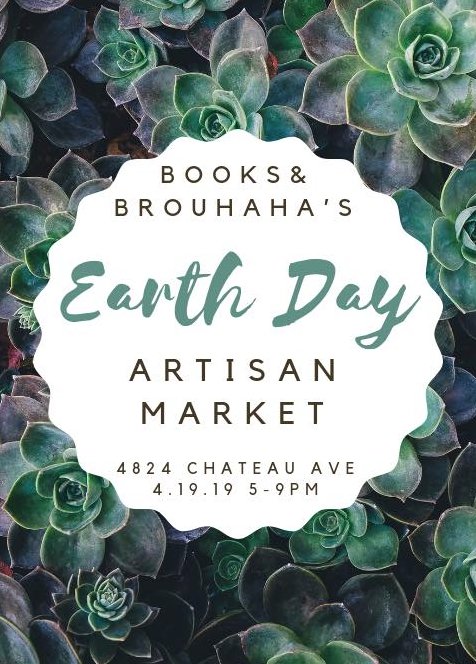 Come check out a unique collective of local artists, artisans, makers and crafters selling a wide variety of goods including, vintage, jewelry, handmade products, healthy/beauty essentials, art and hear live music performed by the talented Jamie Gray! I will be set up with The Goddess Collective. Tarot Card Readings will be available during the event. Carley Creator of the Goddess Collective will have cool vintage clothes to help you get your Spring and Summer wardrobe ready. Make sure to visit our pop up during the event! “We’re throwing an epic celebration of all things new and unconventional. Yes, there will be a DJ spinning some old-school vinyl. And yes, we will be serving artisanal craft cocktails, craft beer, and plenty of Instagram-worthy dishes to flood your friends’ feeds. Don a beanie, skinny tie, thick-framed glasses, or even a mustache and hop on your unconventional mode of transportation to join us for the most ironically themed event of the festival. This event is hipster for all of us that are not that hip after all. – All Charleston Wine + Food events are all-inclusive. – We are still working diligently to confirm talent, so check back regularly for updates. – Dress code is hipster. We forbid you from wearing plaid. But better yet, do, because authority is a lie. – Bike + skateboard valet on-site. – This event is rain or shine. – Food allergies: Accommodations cannot be made at this event. Come out and meet Sheinata Carn-Hall the artist behind Reflections African Jewelry LLC. She specializes in one of a kind African Art Jewelry and will also be doing tarot card readings at this event. 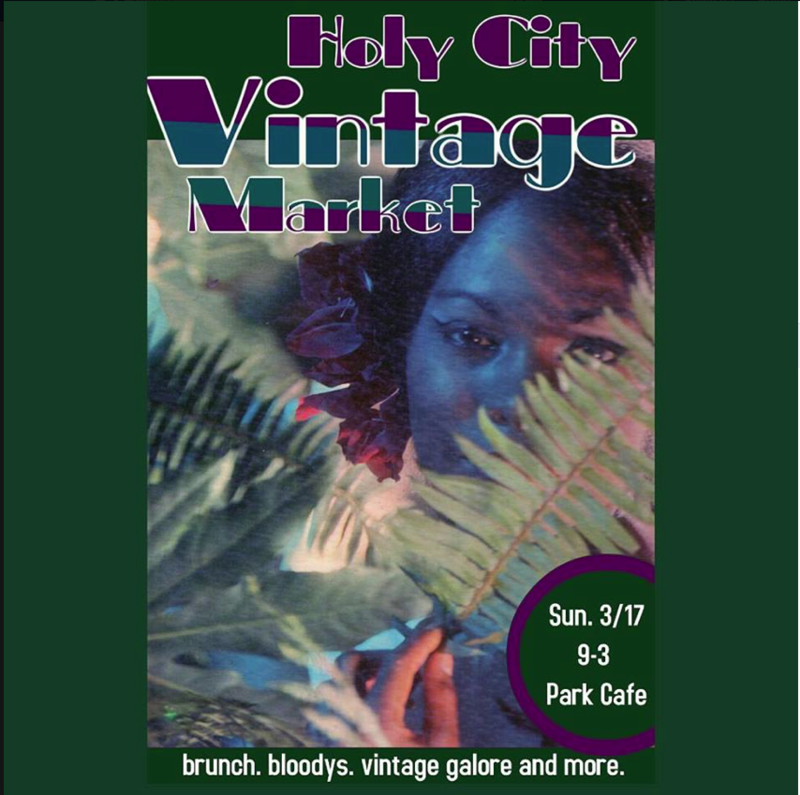 Visit her popup at the Holy City Vintage Market this Sunday 11am-5pm. Come out and meet Sheinata Carn-Hall the artist behind Reflections African Jewelry LLC. She specializes in one of a kind African Art Jewelry and will also be doing tarot card readings at this event. There will be lots of cool #vintageclothing for purchase so come on out. Visit my popup at The Spring Street Market this Saturday 10am-4pm. Come out and meet Sheinata Carn-Hall the artist behind Reflections African Jewelry LLC. She specializes in one of a kind African Art Jewelry and will also be doing tarot card readings at this event. Visit her popup at the Holy City Vintage Market Sunday 12-5pm. 1. Free, boozy V-Day punch. 2. Instagram-able surroundings complete with vintage lounges. 3. Uh-mazing food can be purchased from the Brunch Holiday food truck!